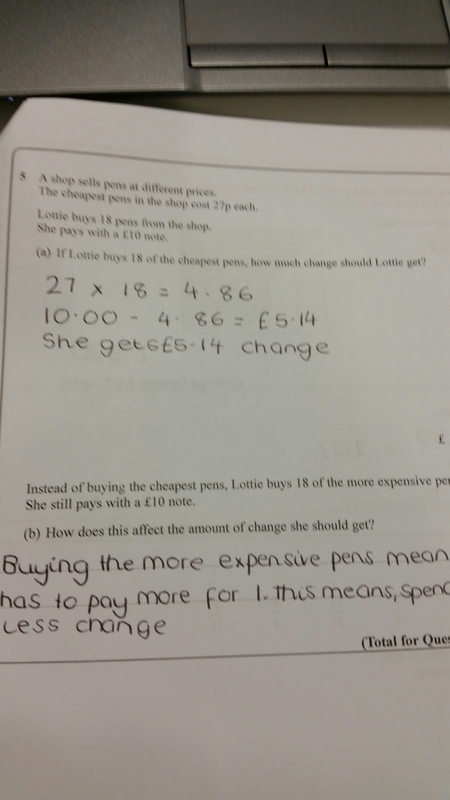 Students need to find change, fair enough, but them part b seems to be purely testing their understanding of the word “expensive”. 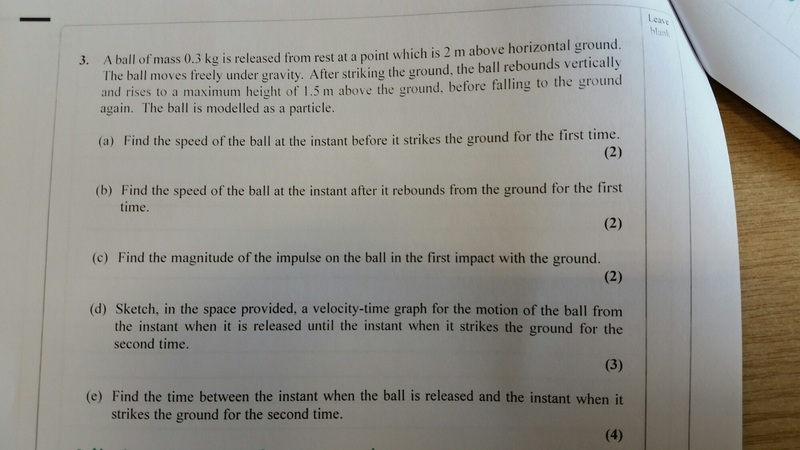 This seems a really bizarre question in my opinion, and I’m not sure it fits well on a maths exam. 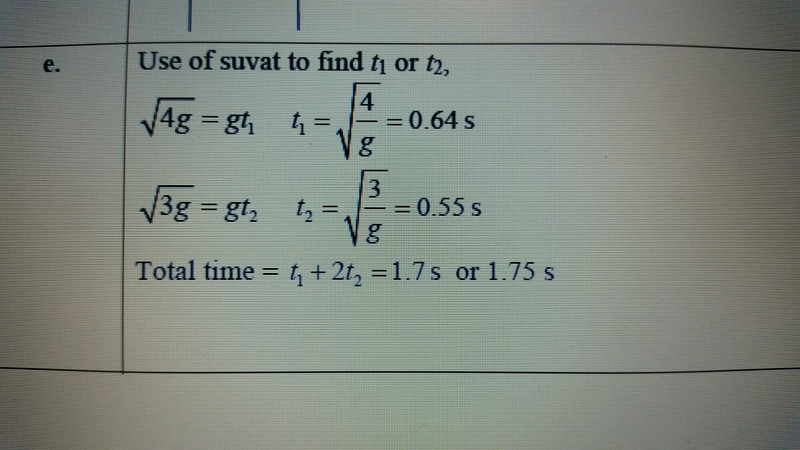 It’s not even really a mathematical term. 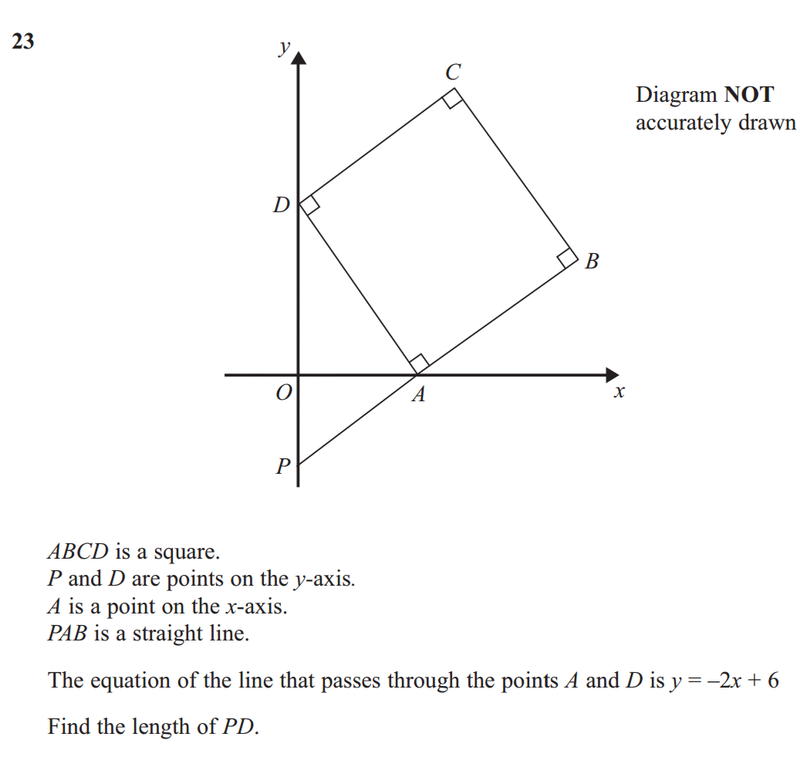 I think this one is a great question that approaches the assessment of fractions knowledge in a new way, it requires a deeper analysis but I do think there is a limitation to it if it isn’t thought out. If this type of question is regularly asked about fractions, then it becomes a “when they ask this you say this” sort of question. This could be combated by asking this type of question about different topics. It’s certainly a question I enjoyed seeing, and is much better to assess deeper learning than he current GCSE, particularly the foundation tier. 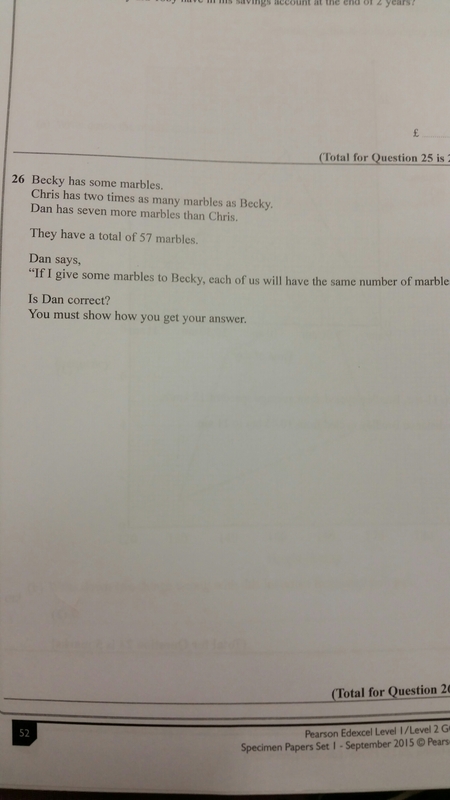 It’s similar to the type of question on forming and solving equations we see how, but the interesting bit is the additional bit of reasoning students need to apply at the end, ie to work out if the amount of marbles that Dan and Becky have together is odd or even to work out if they can have the same amount. Have you noticed any interesting questions cropping up? 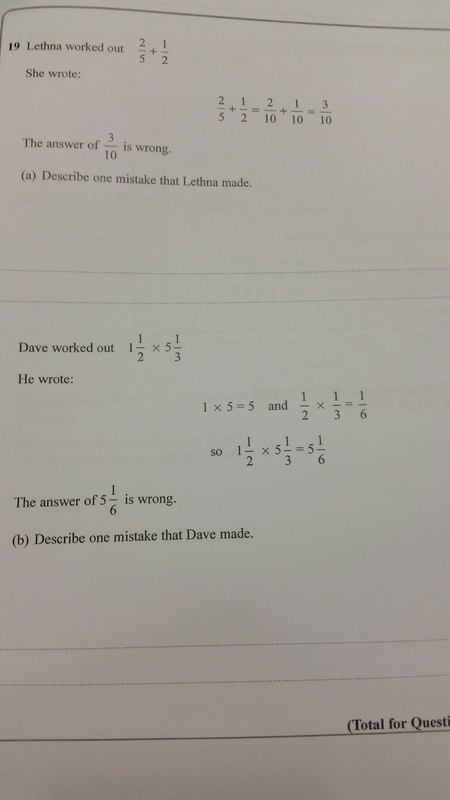 Have your students attempted the SAMs? If so, how did they get on? I’d love to hear.